Photo Credit: The Amazing Stephanie Leigh: Check out her work! I returned to Washington DC to spend the Memorial Day weekend with family–although my parents had no idea that I was coming home! The mastermind behind this surprise family reunion was my brilliant younger sister—Khelsea**. As Khelsea arrived later but still wanted to witness the unannounced arrival, we coordinated my entry to occur as she Skyped our parents. 2,900 miles (4667 km), 20 texts, and .5 Skype calls later, I walked through the front door and greeted my completely bewildered parents and a very excited goldendoodle. Over the weekend, our family visited Washington DC. We walked along the Tidal Basin, stopping by the Thomas Jefferson, Franklin Delano Roosevelt, and Martin Luther King Jr. Memorials. Next, we visited flower-adorned war memorials and walked alongside the grand Reflecting Pool, which links the Lincoln and Washington Memorials. Ten thousand US flags covered the lawn adjacent to the pathway, a temporary memorial to those who died in combat over the past decade. Each flag contained the name and biography of a fallen soldier. Family members, veterans, and visitors were allowed to walk through the flags—mourning, commemorating, remembering. While DC has been swamped in the crazed and crazy election campaign, the Memorial Day weekend provided a much-needed respite and a time to honor American heroes and reconnect with family and friends. Last Memorial Day, I was preparing to start graduate studies in the fall. In fact, one of my first Skope posts discussed Memorial Day weekend (see HOLIDAY: https://theskope.com/2015/09/09/holidaze/). Many new adventures have occurred since those early posts—grad courses completed, a review written, and mountain trips with new friends. Grad school has definitely been a challenging (but rewarding) experience. I have no idea what new adventures will happen when Grad Year 2 begins, but until then, I’ll keep exploring! *Part II coming soon—the blog post where I’ll share some exciting microbiome news from DC! **also a big THANK YOU to AR, RR, and JB for transport, logistics, and secret planning! You’re amazing! While I have a love/hate relationship with writing, I have a like/dislike rapport with editing. Once I have something written down, the “writing” process begins. Former Supreme Court Justice Louis Brandeis once noted, “There is no great writing, only great rewriting.” I agree. While editing may not be as creative as writing the initial draft, I find the editing process equally lengthy, although easier. However I recently read the following quote, “Self editing is the path to the dark side” -Eric Benoit, author. Thoughts? * For the rest of this post, I’ll examine how to avoid the Dark Side of rewriting. Tip 1: EDIT, EDIT, EDIT—I edit each piece of writing multiple times. I try to schedule short, but frequent, editing blocks. For example, I might edit a paper for one or two hours and return the next day to re-edit for a similar amount of time. The brain has an amazing ability to self-correct bad grammar and golss oevr seplinlg meisatkes without alerting our inner editor! Tip 2: READ ALOUD/READ BACKWARDS—During undergrad, an English professor suggested “backwards editing” to catch grammar/spelling errors. This doesn’t mean reading each word backwards! Instead, read your paper backwards sentence by sentence: read the last sentence, then the second to the last sentence, etc. This breaks up the “flow” of text, improving editing focus. Tip 3: ASK A FRIEND—An additional editor with a critical eye can spot forgotten grammar/spelling mistakes and also suggest tips to improve the clarity/quality of your work. Tip 4: ACTIVE VOICE—Always choose a precise, effective verb. When possible, utilize the active voice. Don’t be like The Ice Cream Factory of Questionable Awesomeness. Be like Louis Brandeis: Supreme Court Justice, Harvard Law graduate, champion for social justice, author, and advocate for the power of great rewriting. Happy Editing! *Apropos, as I recently saw the latest Star Wars. I’m grateful for opportunities to travel, learn, network, blog, and research in 2015. Thank you. These are some of my favorite science-related 2015 memories (both in Canada/US and abroad). Here’s to new adventures for all of us during 2016. Happy Exploring! For the last month, I’ve spent many days writing: reports, reviews, term papers. I’m tired of writing! However, after a few days on holiday and some Florida sun, I think it is time to add another blog post. And I’ve decided to write about writing. I enjoy writing. I probably wouldn’t have started a blog unless I did. But I also absolutely detest writing. There is nothing quite like the horror of a blank page. And I am a very slow writer. Filling a page with sentences sometimes feels like using my head to bash a hole through a 3-ft concrete wall. Earlier this month, someone asked me about my personal writing method. Here is a short list I compiled about my writing process “Before/During” and “After”* I finish a solid draft (of an academic paper). Perhaps some of these ideas are obvious, but I hope that one or two are useful for you. READ, READ, READ–Before I start to write, I always spend a significant time reading about the subject. I read not only to learn/find sources, but also to study writing styles. What words are typically used to describe a phenomena/technique/concept? What clichés should I avoid? What is the tone of a particular journal/field? What are effective transition phrases? Sometimes I use a different highlighter to mark a particular passage or phrase that I enjoyed for its literary value. Later, I review these “good writing-highlights” –what about that phrase did I enjoy? Why did I think that passage effectively summarized an idea? Use Thesaurus.com: There are many words/phrases that I use too often-“noted” “moreover” “interest/ed” “theme” “use”. When I am writing a draft, I search through my document to see whether I am using a particular word/phrase in excess (CTRL-F). Sometimes seeing the word/phrase highlighted makes me more aware that I’ve used the word “use” more than three times in one paragraph. Then, I use an online Thesaurus to swap these offenders…perhaps “utilize” instead of “use”. Plus, utilizing an online Thesaurus or Thesaurus app definitely enriches my vocabulary (just don’t go overboard, seriously). Save Multiple Versions: Every time I work on a draft, I save a new version (Report 1, Report 1.1, Report 1.2, Report 1.3…). If I make large changes in one version and the next day I decide I like the original better, I have the older draft saved! Sometimes, I return to an early draft just to remind myself about the overall flow of the paper. Use a Tool to Manage Bibliographic Data: Zotero, Mendeley, Standalone….definitely worth using one of these programs!!! Hope these ideas help. *Part II (After Tips) will be online soon. HAVE A MARVELOUS CHRISTMAS SkOPE READERS. “Life would not long remain possible in the absence of microbes.”—Louis Pasteur, circa 1883. Stay tuned for more gut microbiome-brain posts later this year. PS: Thank you to the 300 visitors from 25+ countries that have viewed, subscribed, and shared this the Skope! Cheers and Happy Microbial Exploring! My interest in microbiome research stemmed from an ecology class that was definitely more ecosystem-based than human-oriented. My professor, an avid reader and researcher, often suggested articles/books pertaining to the course material and our diverse professional interests (pre-dent, pre-med, teaching, research, physical therapy, nutrition!). One recommendation was Dr. Rob Dunn’s The Wild Life of Our Bodies. In WLOB, Dunn notes our integral and inseparable connection with the gut microbes that reside on and within our bodies. Indeed, the ever-increasing separation from our microbial communities (extreme ‘clean living’) may contribute to heightened susceptibility to allergic and autoimmune diseases-the hygiene hypothesis concept. I read about a young Navy technician who performed an appendectomy in a submarine during WW2 using floss and tea strainers. And I discovered the important role of the appendix in maintaining a thriving gut microbiota. I learned about the history of germ-free animals. And I read about how microbes shape the human immune system. I was hooked. I wanted to learn more about these beneficial gut microbes. The next year I applied for a summer internship studying the gut microbiota. 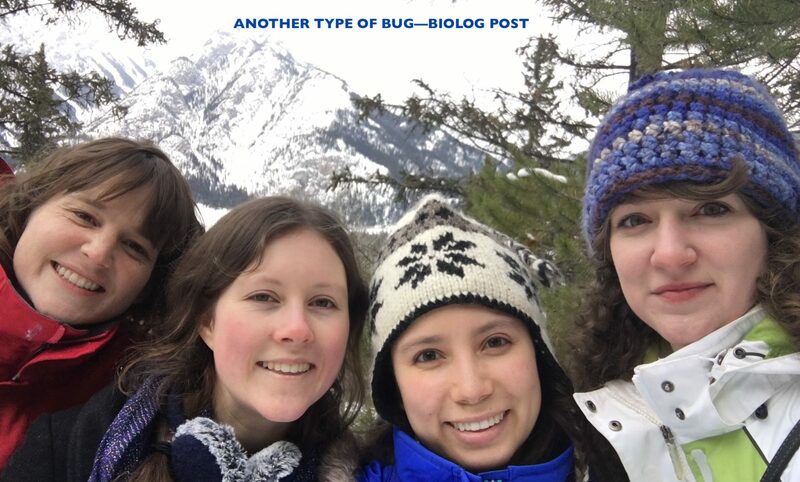 Spending two months examining the impact of diet and antibiotics on the gut microbiota further cemented my interest in microbiology and decision to pursue graduate studies. If you are interested in the importance of the gut microbiota and enjoy medical case studies, I would highly recommend Dunn’s book, but warning, you might become a microbiologist! PS-Dunn’s Lab at the University of North Carolina has published some exciting microbial research. If you are interested in the belly button microbiome or microbes in household dust-check out the link to the Dunn Lab website below! 100 the Centennial (ACADEMIA): The picture above is from the centennial logo of the University of British Columbia. Note the “00” shaped as the infinity symbol. Go Thunderbirds! 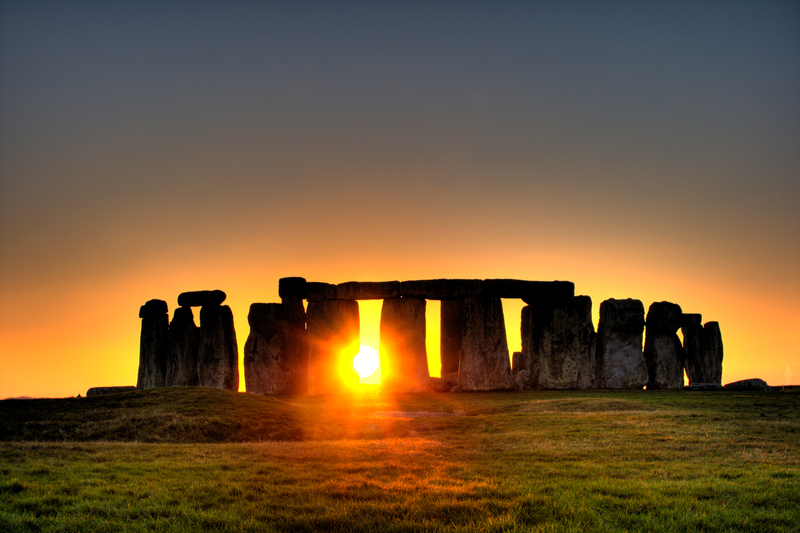 100 the Gift (HISTORY): 100 years ago today, barrister Cecil Chubb bought Stonehenge as a present for his wife Mary. Chubb’s payment: £6,600! 100 the Microbiologist’s 1915 Discovery (SCIENCE): Clara Henriette Hasse published “Pseudomonas citri, the cause of citrus canker” in the Journal of Agricultural Research. 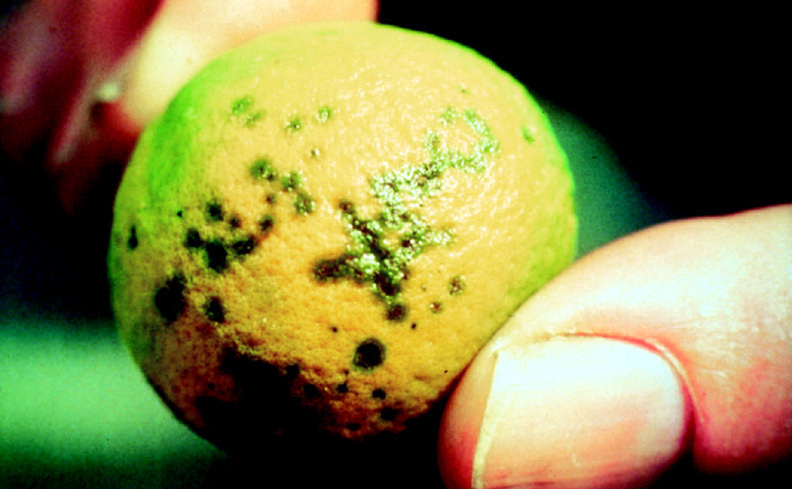 Citrus canker causes leaf, fruit, and stem lesions on citrus trees. The infection may also cause citrus fruits to prematurely drop. Until 1915, no one knew what caused this disease. Ms. Hasse’s works helped save the citrus crops in the US. Once again, 100 thank yous to all my readers! To get updates on new blog posts, follow The Skope (info on the right-hand sidebar). While running his drapery and haberdashery shop, van Leeuwenhoek developed an interest in the creation of magnifying lens. Then, he started producing simple microscopes. He became enthralled by the images of the microscopic world. His friend Renier de Graaf, a Delft physician, urged Antonie to submit his findings to the Royal Society in London. And throughout his lifetime, nearly 200 letters were exchanged from the country village of Delft to the great English capital. 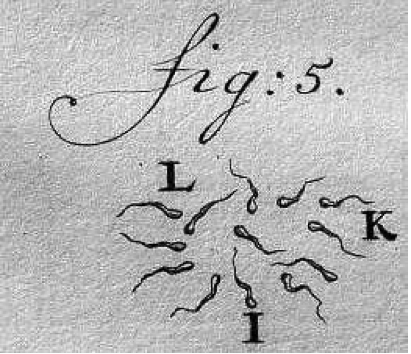 Unlike the learned members of the Royal Society, Van Leeuwenhoek received no formal training in either the sciences or Latin. Moreover, he only spoke and wrote Dutch and his letters had to be translated before the meetings. Although initially enthusiastic about his pursuits, Antonie’s discovery of single-celled organisms was regarded with disbelief and ridicule by the Royal Society. Your letter of October 10th has been received here with amusement. Your account of myriad “little animals” seen swimming in rainwater, with the aid of your so-called “microscope,” caused the members of the society considerable merriment when read at our most recent meeting. Your novel descriptions of the sundry anatomies and occupations of these invisible creatures led one member to imagine that your “rainwater” might have contained an ample portion of distilled spirits–imbibed by the investigator. Another member raised a glass of clear water and exclaimed, “Behold, the Africk of Leeuwenhoek.” For myself, I withhold judgment as to the sobriety of your observations and the veracity of your instrument. However, a vote having been taken among the members–accompanied I regret to inform you, by considerable giggling—it has been decided not to publish your communication in the Proceedings of this esteemed society. However, all here wish your “little animals” health, prodigality and good husbandry by their ingenious discoverer. You could have cut the sarcasm with a snicker. But Antonie insisted on the veracity of his findings and the Royal Society eventually sent an envoy to Delft. Van Leeuwenhoek’s credibility and genius was restored. 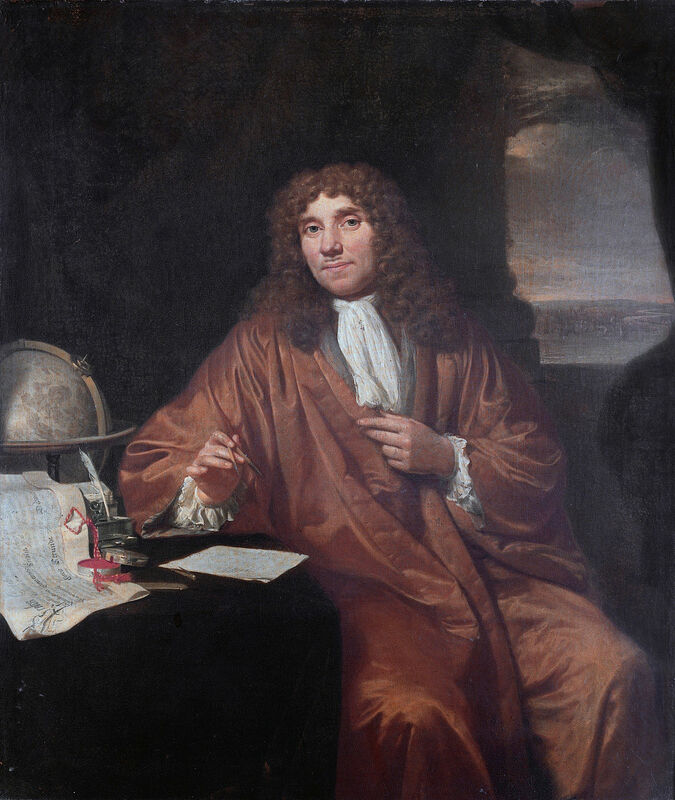 Years later van Leeuwenhoek would write, “my work, which I’ve done for a long time, was not pursued in order to gain the praise I now enjoy, but chiefly from a craving after knowledge, which I notice resides in me more than in most other men.” A good reminder for all researchers: work hard, stay true, and embrace the wondrous! *This same business acumen would be later put to use in his lensmaking endeavors. When invited by Tsar Peter the Great he refrained from showing the court his most advanced microscopes, thus preventing others from learning his techniques and creating rival lenses. FYI: his method involved soda lime glass. Robert Hooke, the great English microbiologist bemoaned that the entire field of microscopy, and by extension the financial profits, rested on the shoulders of one Dutch man. I came across the following quote when researching Antonie Van Leeuwenhoek’s life. Any thoughts? Imagine unveiling the miniature world, making discoveries that would fuel the study of microbiology, virology, microscopy, and even physics. In scientific research speculations/opinions are considered a double-edged sword. On one hand, speculations reveal the potential importance and possible future research; on the other hand, speculations can result in fatal errors when accepted as truths. Delineating between truth and thought prove blurry in every field of thinking. 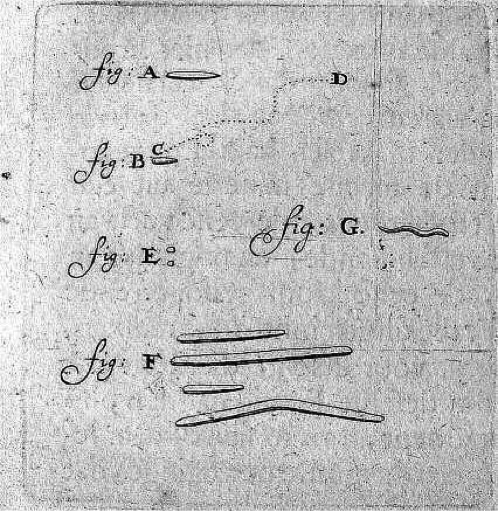 Perhaps the best way to honor both “facts and fancy” might be, like Leeuwenhoek, to establish clear boundaries between the two.